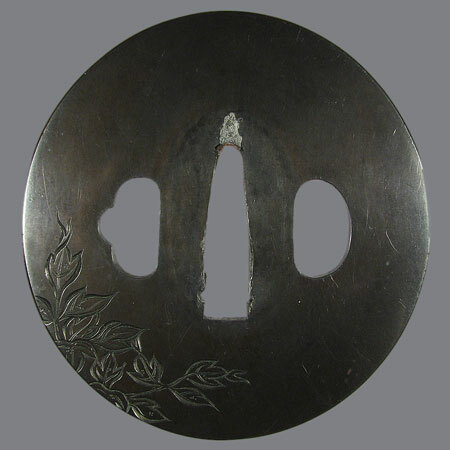 Tsuba made of shibuichi with an image of peony branch. 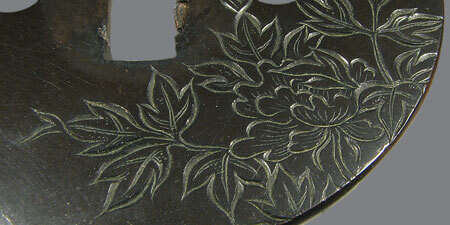 The picture is made using katakiribori technique - carving with a triangular chisel, which imitates Japanese ink painting style. 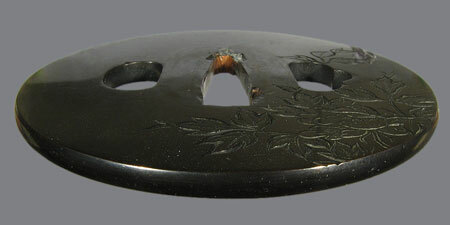 For the first time this technique was used by Yokoya Somin. 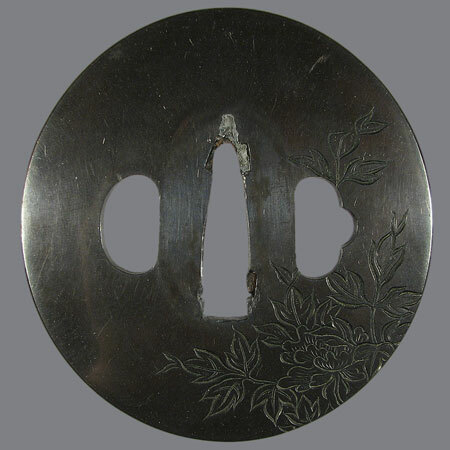 He studied metal-carving with the Goto family first, then he set up his own school. He introduced Japanese painting methods into his works. Nagamaru gata, kaku mimi koniku; 7,8 х 7,4 x 0,4 cm.